Locate and Shut Off Your Natural Gas Line | Professional Plumbing, Inc. If you are doing major renovations in your home, or you suspect you may have a gas leak, you may have to shut off your main gas valve. Many homeowners are unsure of where the gas line is located, and how to turn it off. This quick guide will help you find your gas line and shut it off so that you can keep your home safe. The main shutoff valve of your gas line is placed next to your natural gas meter. This meter can be located inside your home, or on an exterior wall. If it is inside, it is usually in a utility area like a basement or your garage. It is likely near your furnace or water heater. To turn off your gas line, you will need either an adjustable or open-end wrench. Use the wrench to turn the handle 90 degrees. It should be perpendicular to your gas line. To make sure it is off, write down the numbers on your gas meter. Check back in 10 minutes to see if those numbers have changed. If they are still the same, you have successfully closed the valve. 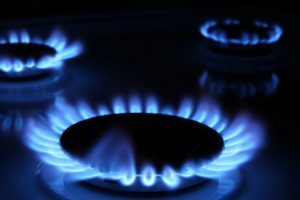 If you are having issues with your gas line, call Professional Plumbing, Inc. for gas line repair in Corona, CA. We offer 24/7 emergency plumbing services for customers in Orange County. This entry was posted in Uncategorized on September 5, 2018 by profplumb-inc.